A CARGO plane heading to Guernsey veered to the left and went into a dive as it neared the island in February this year. A report from the Air Accidents Investigation Branch said the most likely cause of the problem was a combination of the wrong kind of trim being applied, together with wear in one of the controls. 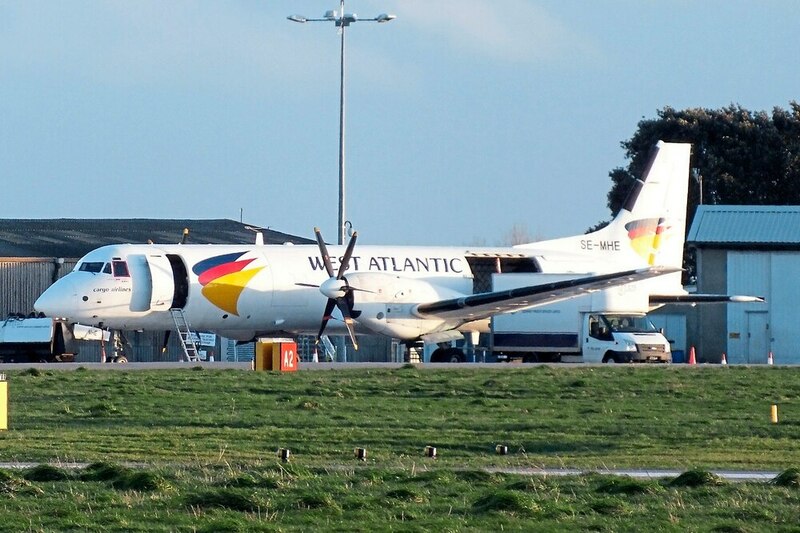 The incident occurred at about 7am on 14 February, when the plane – a British Aerospace ATP – coming from East Midlands with two crew on board and no passengers was bringing cargo to the island. The pilot in training had logged 4,100 flying hours but only 12 in this kind of aircraft and was undergoing ‘type training’. As it began its descent as normal, the pilot in training used one of the aircraft’s trim – stabilisation – controls but found that he could not. This caused the plane’s autopilot to disconnect, making the aircraft bank to the left and start to dive at a rate of some 1,800 feet per minute. The commander took over control, initially pulling the power levers back to reduce airspeed and shortly after pushing the left lever forward only to find it stuck. He then tried to push the right lever, but found this jammed too. His next move was to use the standby engine control system, but this did not restore power: ‘This caused him great concern because he had just moved the power levers aft and could not move them forward again, and the aircraft was descending through 17,000 ft amsl [above mean sea level] at 1,800 fpm,’ said the report. A mayday was transmitted stating that the crew had control problems, and while the pilot tried to get power back the crew prepared for an emergency glide landing in Guernsey. A chart in the report showed how the plane dropped about 600ft after the autopilot shut off before control was re-established and Guernsey air traffic control was told that everything was back to normal. The AAIB report found that it was possible that the initial problem was caused by the wrong kind of trim being used. After being checked at Guernsey Airport, the power controls were found to be operating normally and the AAIB was unable to find out what had caused the controls to stick, although its report said it was possible that movement in one of the power levers was restricted due to wear in part of its locking mechanism. However, that did not explain why the other control was also stuck. Following the incident BaE said it would introduce wear-checks of the locking mechanism and would assess the effectiveness of a direction to regularly purge moisture from the cables as well as considering options for long-term corrective action and report once it had completed its assessment.